In a Chariot Drawn by Lions seeks out the hidden and overlooked Female Divine, demonstrating how the female aspect of God has been suppressed and distorted through the ages. 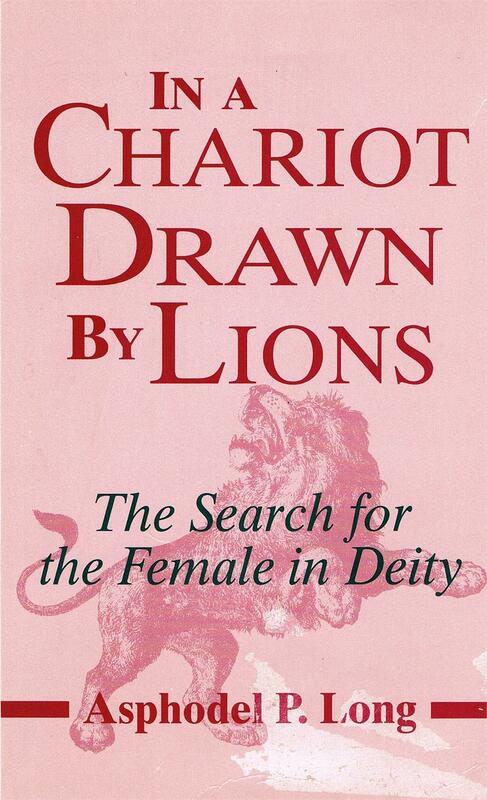 Asphodel Long has spent 20 years researching the female aspect of God. She shows how the wisdom of ancient goddesses has meaning for our lives today. This is a book particularly relevant to understanding the earth's ecology; the importance of feminist input is clearly stated. Long explores relationships between women and men and women and the world as they relate to divine female wisdom. "Rich are the resources here of myth, religion and history as Asphodel Long's fine and meticulously documented study shows in great detail.. .The image of the Goddess of Wisdom in a chariot drawn by lions is in fact taken from an orphic hymn...The association of lions with the great goddess suggests images of royalty and power indicating the strength of female divine wisdom." "An astonishing and important book.. .meticulously researched and referenced, yet highly readable and accessible." "The book concludes with a strong message that our only future is through a religious perspective which respects women and re-establishes a healthy relationship with the earth. Major world religions will continue to be blighted if they thrive on misogyny and a fear of the natural environment."